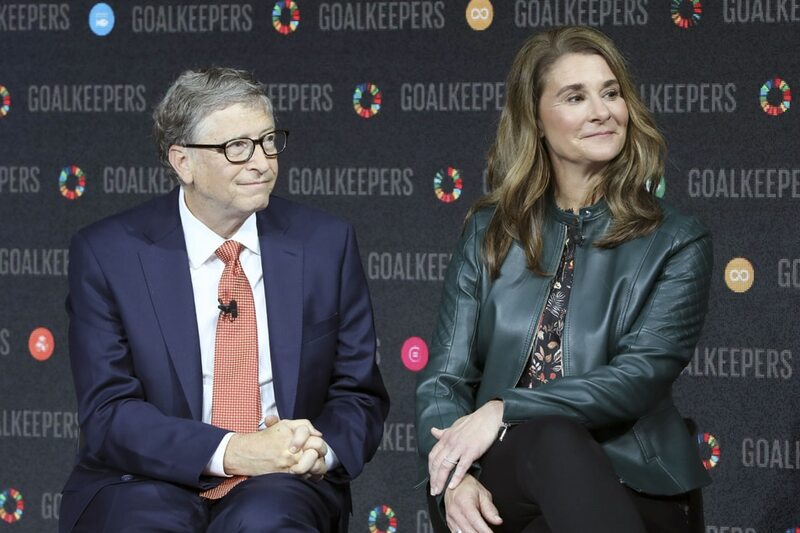 LONDON – Donating billions of dollars to global poverty and disease-fighting funds is one of the best investments governments can make to increase security and economic growth, Philanthropists Bill and Melinda Gates said Thursday. Ending epidemics against infectious diseases They claim that malaria, polio, HIV and malaria are tough, but the advances made by the global supportive mechanisms of recent decades are making people in the world healthier and more productive. "The data was really impressive," Melinda Gates told reporters on a teleconference. 990 and the number of deaths from infectious diseases such as HIV, malaria and measles has also halved. "A child born today dies halfway before the age of five, compared to a birth in 2000," said Melinda Gates. "The human and economic benefits are enormous." The multi-billion dollar Philanthropic Gates Foundation, which she co-heads with her husband Bill, the co-founder of Microsoft, is one of the largest funders committed to global health programs. Helping Poor People with Disease, Poverty and premature death. The Foundation seeks to encourage international donor governments such as the United States, Japan, Australia, Germany, the United Kingdom, and many others to replenish four major global funds in the next 18 months to enable them to continue their work. Funds include the Global Fund to Fight AIDS, Tuberculosis and Malaria, the Global Polio Eradication Initiative (GPEI) and the Vaccine Alliance GAVI, and the Global Child and Maternal and Child Finance Facility. Bill Gates said he was optimistic that wealthy donor governments would continue to help fund international aid to poor countries, adding, "We never want to take it for granted, because … only o A country where Falling (donor) countries could cost hundreds of thousands of lives. " He also said he was concerned that" distraction by domestic issues "might mean that the still urgent need for global aid is not receiving attention, he deserves. "People should not be complacent," he said. "We still have a little less than six million children who die under five years."